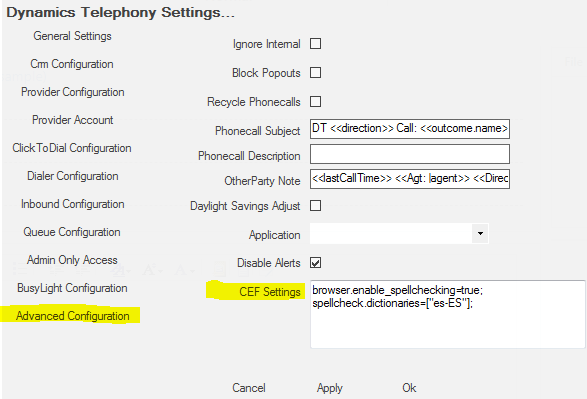 You can set the language to use for spellcheck within Dynamics Telephony. 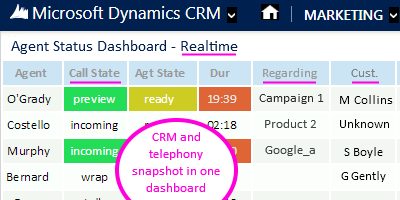 This would be used, for example, when composing an email in Dynamics Telephony. You can set it to one or multiple languages. 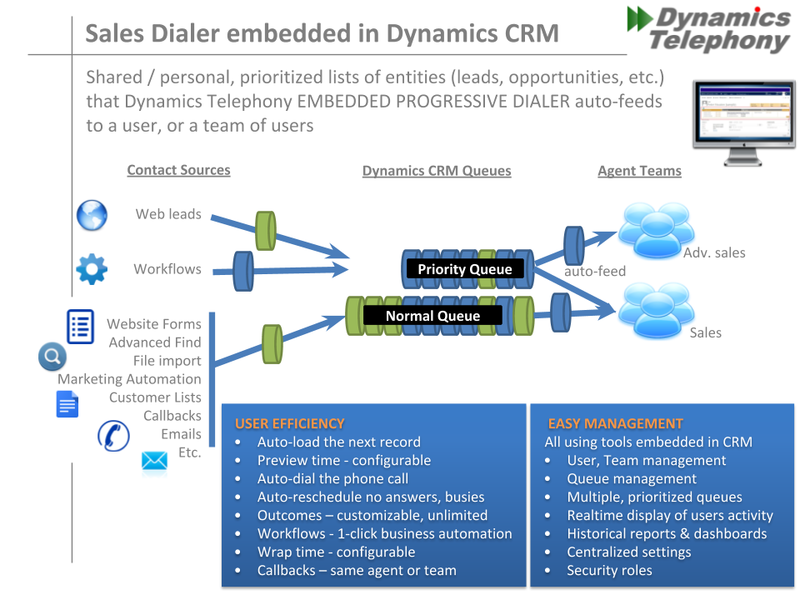 The following entities are installed in your CRM by Dynamics Telephony for its own use. They are stand-alone entities that can be uninstalled without affecting your own data. Shows duration and the time the state was entered. Shows Outcome of last call, e.g. SALE! The display auto-refreshes every 10s (by default). You can update now by clicking the update countdown timer.